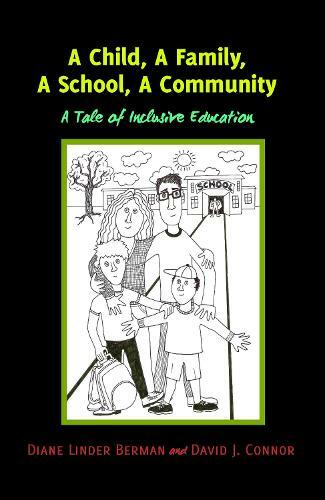 This book is a true story of one family's journey into inclusive education. Having previously been told that her son Benny had "failed to function" in two exclusionary special education classrooms in New York City, Berman's family set off in search of a school where Benny would be accepted for who he was, while having the opportunity to grow and flourish academically, socially, and emotionally alongside his brother, Adam. Connor's interest was piqued when Berman shared her desire to document the ways in which the new school community had supported Benny throughout the years. Together, they thought, surely other teachers, school and district level administrators, parents of children with and without disabilities, teacher educators, and student teachers, could learn from such a success story? The result of their collaboration is this book in which Berman skillfully narrates episodes across time, describing ways in which children, teachers, educational assistants, parents, and a principal came to know Benny-developing numerous and often creative ways to include him in their classrooms, school, and community. Connor's commentaries after each chapter link practice to theory, revealing ways in which much of what the school community seems to "do naturally" is, in fact, highly compatible with a Disability Studies in Education (DSE) approach to inclusive education. By illuminating multiple approaches that have worked to include Benny, the authors invite educators and families to envision further possibilities within their own contexts.